Families are being urged to save the date for a series of summer events organised by Fleetwood Town. A special Summer Events Schedule is being planned by the club to take place at the Cod Army’s state-of-the-art training facility at Poolfoot Farm in Thornton. 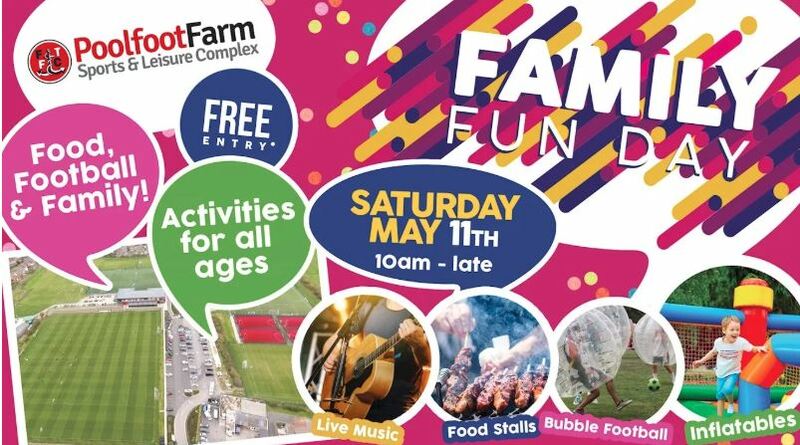 The events will kick off with a Family Fun Day on Saturday May 11 and will then see a series of evening and weekend activities taking place each weekend until the end of July. Activities will include FREE cinema screenings, football challenges, big screen football, live music and much more. The announcement follows the huge success of special World Cup Nights held at The Crossbar at Poolfoot Farm last summer and will see the Summer Events Schedule based around key events in the sporting calendar including Premier League Finals Day (May 12), Emirates FA Cup Final (May 18), UEFA Champions League Final (June 1), England v Netherlands (June 6) and National League Final (June 9). Richard Simkin, Chief Operating Officer at the club said: “The World Cup, and of course England’s success last year drew thousands of people to Poolfoot Farm over the course of the competition. “2019 may not be a World Cup year but we want to recreate that fantastic atmosphere by holding a series of family friendly events from May through to July. More details of FTFC’s Summer Events Schedule will be revealed soon.